The iPad Pro won't replace my iPhone or my Mac, but it provides a mostly great experience, thanks in large part to the Pencil. Well, I tried. I tried the whole “use the iPad Pro instead of my computer for a week” thing and barely lasted a day. It doesn’t fit my workflow like my MacBook Air does, so I stopped trying to force it—and that’s OK. Apple’s newest largest tablet doesn’t need to be a laptop replacement to be good, but for a $300 premium over the cheapest iPad Air 2, it does need to deliver more than just a larger screen. In some ways it does. 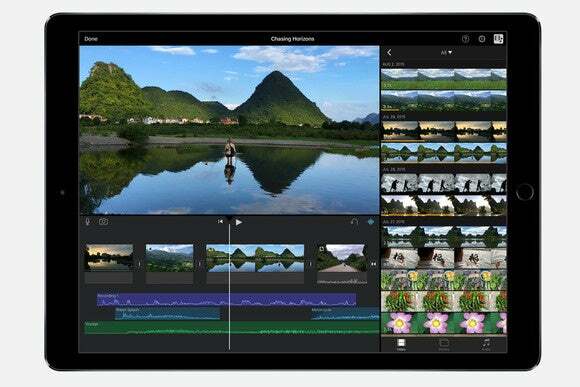 Thanks to a faster processor and more RAM, the iPad Pro can enable a new class of applications that feel as powerful as desktop apps. Support for the Apple Pencil is limited to this iPad, so if your work includes drawing or drafting, or you’d rather handwrite notes than type them, your choice is clear: Buy this iPad Pro or wait a year to see if Pencil support trickles down to more models. So much screen, you could drive a truck between those icons. 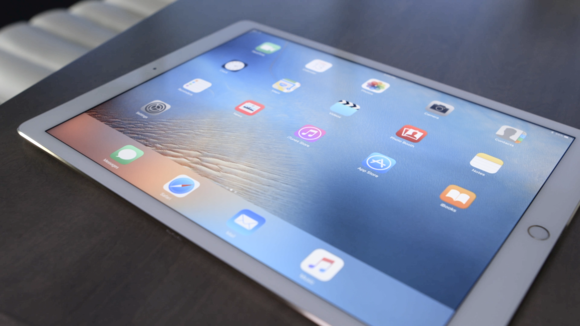 But if you aren’t planning to use the Pencil, it could be hard for most people to justify the extra cost over an iPad Air 2 or even an iPad mini 4—at least, it is for me. As a work tool, the iPad Pro is a little like the Mac Pro, or the MacBook Pro, or even something specialized like a miter saw: If you really need it to do your job, you likely know you need it, and you don’t need me to tell you. If you find yourself wondering if you really need it…you probably don’t. Using the Pencil is awesome. It feels natural, and it writes naturally, and makes a cheap rubber-tipped capacative styluses feel like trying to write your name with a hot dog. Drawing and even just doodling with it are wonderful experiences thanks to the pressure sensitivity and tilt detection that help it act more or less as you would expect, with very little lag. I haven’t done much drawing or painting since college, but the Pencil just makes me want to use it, and the fact that I can doodle, or color, or sketch, or mind-map while catching up on a show in Hulu in a Picture-in-Picture window appeals to me in a unique way. It’s a strange blend of nostalgia for the time when paper and pencils were my daily tools of choice, and that futuristic tingle of using something that feels so cutting edge. The Pencil has next to no learning curve, since it reacts to your movements pretty much like a real pencil would. iMovie on the iPad Pro: It’s faster and roomier than ever, but I’d still rather use a Mac. Plus, running two apps side by side isn’t exactly multitasking. I kept running into limitations that I could work around, but didn’t want to have to. I liked having Byword open along with Safari in Split View on the iPad Pro. But on my Mac, I typically have more than one Byword document open at a time—one file with notes and another with an article in progress, usually—and the iPad can’t do that, since you can’t have the same app open in both sides of Split View. If you want to see two webpages side by side rather than just in tabs, you have to open them in different browsers. And of course, not every iPad app supports Split View. That’s not all. On my Mac, I use a few utilities that can run in the background, like RescueTime, which logs every minute I spend using various Mac apps and websites, but has no iOS version. Only on my Mac can I record Skype calls for the podcast, while plugged into ethernet for the occasion. My Mac lets me download files more easily and organize them however I like—although the iCloud Drive app in iOS 9 has made that easier on the iPad than it’s been in the past. One of the things I like best about the iPad Pro is that while it isn’t as capable a work machine as my Mac, it’s a way better iPad than my Mac. No, really—for all the iOS creep into Mac (from iBooks to Maps to Launchpad to swipe gestures), the iPad is still better at a slew of tasks that my brain has firmly categorized as “mobile” since iOS does them so well. After using the iPad Pro for a week, the iPad Air 2 didn’t suddenly seem like a tiny child’s plaything—9.7 inches is still a respectable size. As I set up my iPad Pro, I first took a look at the Applications folder on my Mac, so I could grab equivalent iOS App Store offerings like Slack, Byword, Pixelmator, Tweetbot, and Things. But then I took a look at my iPhone home screens, so I’d remember to grab my favorites from the mobile side, such as Kindle, My Fitness Pal, Spotify, and Pocket Casts. It was cool to be able to log a snack or take a quick Instapaper break, and then get back to my writing and editing work, without having to switch devices. And I loved listening to podcasts or music while writing full-screen, then just swiping up to Control Center for the playback buttons, always handy but tucked neatly out of sight. Still, everything in the paragraph above is just as possible on the smaller iPads than the nice, big, roomy iPad Pro. Apps on the Pro launch faster, which makes Split View feel more fluid, since you’re switching apps and flipping back and forth in a blink. But aside from Pencil support and overall speed, I’m hard-pressed to name a task I can do better on the iPad Pro than on the smaller (and more reasonably priced) iPads in the lineup. Big as it is, the iPad Pro feels a lot lighter in my shoulder bag than the 13-inch MacBook Air I typically carry. Even with the Smart Keyboard, which bulks the iPad Pro up to 2.3 pounds, it’s a noticeable change from my 2.9-pound, 13-inch MacBook Air. When working at a table, the iPad Pro doesn’t feel too large, but when I curl up in bed to watch Netflix or read Kindle books on it, it starts to feel a little unwieldy—I want to prop it up on pillows way on the other side of the bed, or I feel like I’m watching movies too close to the screen. The speakers are much improved, though, which does make a difference when using the iPad Pro as an entertainment device. Apple included four speakers, and the top two are used for treble while the bottom two are used for bass—no matter how you hold the tablet. They sound good, loud enough to fill an average room with music even if you don’t have a Bluetooth speaker handy. The big screen and powerful speakers makes gaming and watching videos more immersive—and distracts from the size of the tablet you’re holding. Still, compared to using a laptop, the iPad Pro is just less comfortable all around. When sitting at a desk with the Smart Keyboard, I didn’t like how I couldn’t adjust the angle of the screen, or keep my hands in one relative position. (Reaching up to tap the screen feels awkward at first, but after about a day and a half, I found myself reaching up to tap the screen of my MacBook Air, instead of going for the trackpad.) The software keyboard keeps coming up even when I have a Bluetooth keyboard paired, thanks to a bug that I’m told is being addressed in iOS 9.2—it’s not a deal-breaker now, but it is annoying for half the screen to be gobbled up by a keyboard I don’t need. Battery life is excellent—starting a workday at 85 percent charged, I didn’t get the 10 percent warning until almost 4 p.m. I do wish the iPad had the Low Power Mode that I’ve been enjoying so much in iOS 9 for my iPhone, but that mode works by throttling some performance behind the scenes (stopping background app refresh, slowing down the processor speed), and Apple might have felt these weren’t acceptable trade-offs to eke more power out of the iPad Pro. The tablet ships with a 12-watt USB power adapter for charging—both the battery life and the tiny universal charger are big points for the iPad Pro over a MacBook. 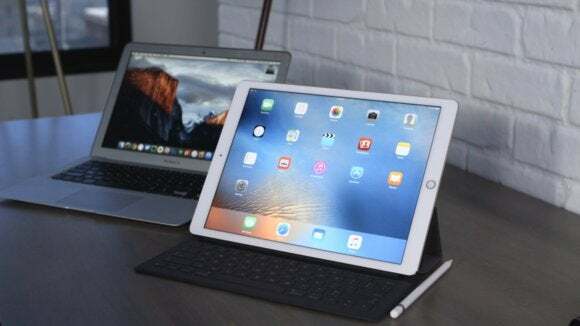 Apple offers multiple sizes of iPhones, laptops, and iPods, so it makes total sense to expand the iPad lineup from two sizes to three, and with the Pencil, Apple’s given the 12.9-inch iPad a rightful claim on the name Pro. For me, it’s just not worth the considerable premium in price over an iPad Air 2 (which starts at $499 for 16GB) or my favorite model, the iPad mini 4 ($399). The Pencil is fabulous, but instead of shelling out $799 for the entry-level (32GB, Wi-Fi only) iPad Pro and another $99 for the Pencil, I could get a maxed out 128GB iPad mini 4 with cellular for $729 and have plenty of money left for all the fancy pens and notebooks my heart desires. 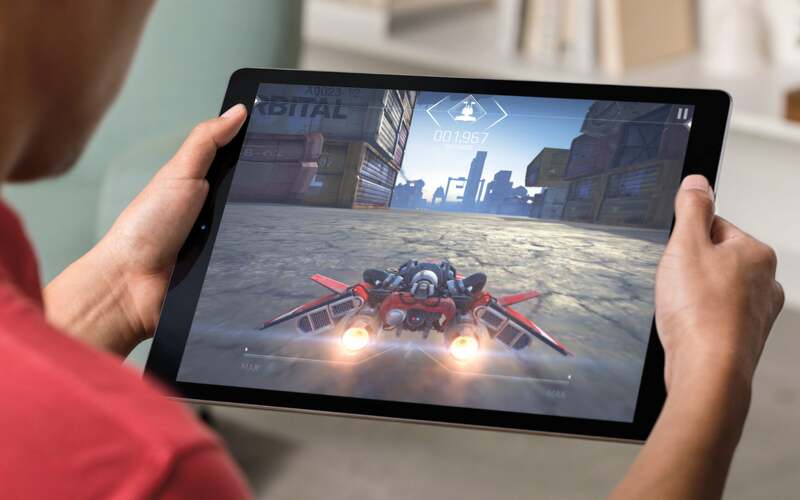 If price is no object, the iPad Pro plus the Apple Pencil let you do more with Apple's tablet than ever before. Plenty of speed and power.